"Kat was a poet and a waitress working at a bar in the French Quarter of New Orleans. On June 26, 1980 Kat Perkoff died in a white Mercedes after it veered off a highway, hit a concrete bridge support and split cleanly in half. Kat's high-drama, high-impact death was in some way an inexorable conclusion to a life lived with voracious and feverish intensity. In her brief 23 years, Kat Perkoff inhabited many personae: runaway, drug smuggler, gay bar manager, writer, local icon, and key player in the murky underworld of the New Orleans lesbian mafia-a demimonde populated by pimps, prostitutes and corrupt cops. Even for the fast lane of the French Quarter in the early 1970's, Kat's life hurtled along at several times the average speed. The official report of the New Orleans Police Department states that Kat's death was caused by accidental collision. But rumors at the time pointed to a hit, mafia score, and a police cover-up." Her sister Rachel made a feature-length documentary about Kat called "Another Lost Angel" in 2008. Below is the trailer of that feature. Survived by her mother Katheen Jeanne Pynes Perkoff Hebert b. 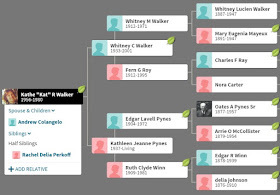 1937, father Whitney Charles Walker (1933-2001 married Dec 21 1955 in Louisiana), younger half sister Rachel Delia Perkoff and ex-husband Andrew Colangelo (married 1975 in Florida). 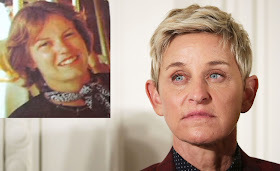 Kat was the first love of Ellen DeGeneres. Kat Perkoff's death was the inspiration for DeGeneres' comedy monologue about mortality called "Phone Call To God" which she did on "The Tonight Show" starring Johnny Carson in 1986. In it she pretends to be on the phone to God, chatting about the surreal qualities of death. It would go on to propel her to stardom. Just two years later Ellen was named the funniest person in America. Below Ellen talks about the loss. Below is the pedigree of Kathe's family tree. Her half sister Rachel obviously has a different paternal line which I also made but isn't included here. 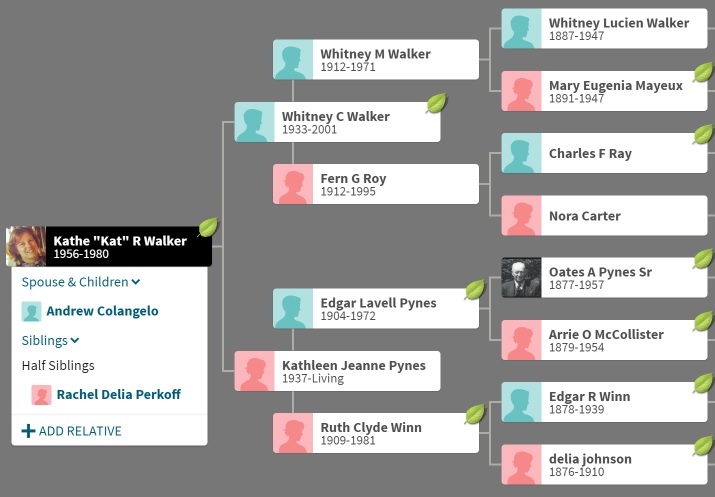 Kathe "Kat" was the daughter of Whitney Walker based on marriage and birth date.